An online marketer that has failed to factor in the efficacy of social media in exposing your brand and content is a marketer that has failed. In this time and age wherein social media dominates a majority of people’s lives, it would almost be unthinkable not to exploit the phenomenon. After all, any shrewd online marketer would take advantage of social media’s prowess and would see its utilitarian purpose in gaining a wider and more expansive customer base that would ultimately result to increased profits and revenue. However, digital marketers should know by now that trends are elastic. The popularity of these same trends is largely dependent on what its respective users would deem as useful or trendy. In other words, as marketers, you cannot rely on a single trend alone and expect it to consistently give you increased conversion rates and a marked increase in profits and revenue. Social media is constantly changing and its users are being more discriminating and selective in the trends they choose to partake in. What was trendy a year ago may not necessarily be relevant today which is why your marketing strategy should also include a review on social media trends that would prove most useful to your brand, business and campaign and then refine your techniques accordingly. Today, as social media channels becoming increasingly saturated with users and various brands, the competition is a lot stiffer than ever and consequently, your viewers’ attention spans are decreasing. As an online marketer, what are you to do? Well, you need to adapt to these changes and be ready to integrate them into your strategy in the coming months. When Snapchat first released a feature that allowed users to share short videos that would be long gone after 24 hours, it instantly hit with audiences. It worked so well that both Instagram and Facebook have integrated the very same feature into their own social media channels—albeit, with a little more users in Instagram than in Facebook. Considering all these, it is high time for brands to start integrating the feature into their marketing strategy and get on board with the stories feature. In any case, the feature is incredibly fun to use and view and it allows you to add filters, hashtags and texts. Furthermore, Instagram routinely updates the feature from time to time and presently, you can now ask your followers questions, conduct polls and even do a survey. Quite a multifaceted design for just one feature which brands can certainly take advantage of. Back in the day, augmented and virtual reality were two aspects thought to be solely in the realm of gaming. However, social media channels have creatively and cleverly incorporated the technology into their platforms as well. The new Iphone’s integration of animated emojis and Pokemon GO’s latest popularity are two testaments to just how augmented reality can be ingeniously utilized. While most brands would acknowledge the feature for its massive appeal, they do not see beyond its novelty. However, there is great potential in augmented reality and the payoff for brands is rather immense. With the feature, brands and businesses would now be able to explore beyond traditional marketing and advertising ideas. With the feature, companies can now showcase their products in new ways to customers such as having them see what a certain furniture would look like in a room or how a certain piece of clothing would look like on them. Unfortunately, augmented reality might take a bit of time and money to fully implement into your marketing efforts, but it would all be worth the investment. Live streaming has been around for quite a while, but the concept did not fully take off until Facebook chose to incorporate the very same feature into its social media platform. Resultantly, how people use them has evolved. As smartphone softwares advance, live streaming videos become more accessible to an even wider audience. 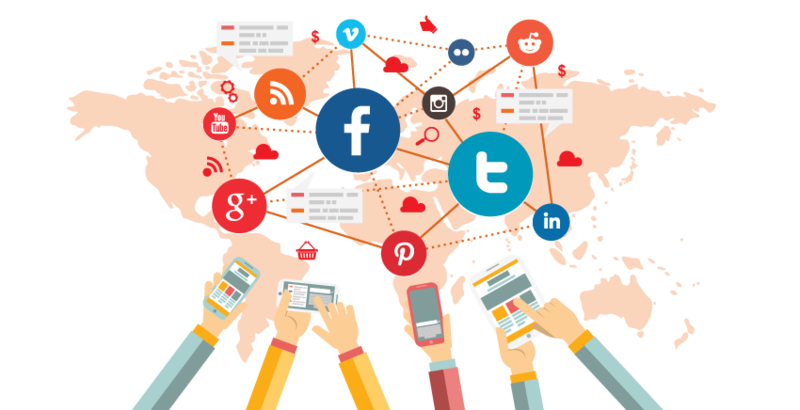 As an online marketer, you should try to capitalize on the trend while it is still in its incipiency and you might find that you would revel in the kind of organic reach it can engender. Whether you are doubling your marketing efforts or refining your online marketing tecniques, as a digital agency in Cebu or elsewhere, having an idea of the top social media trends should be one of your primary concerns. Doing so would help you create a more effective strategy that would ultimately prove useful and pivotal to your marketing campaign. Janice Jaramillo is a twenty something who loves to write on various topics. She is currently associated with Optimind Technology Solutions. She also likes to travel around the world to meet new people and gain new experiences. Previous Previous post: How To Find Out The Best SMS Service In India?